Definitive Technology Black Friday sales...Free speakers anyone? Today's installment of Black Friday specials include lots of FREE speakers from one of our favorite speaker companies...Definitive Technology. Get GREAT for the price of GOOD with their award-winning line. See below for details. 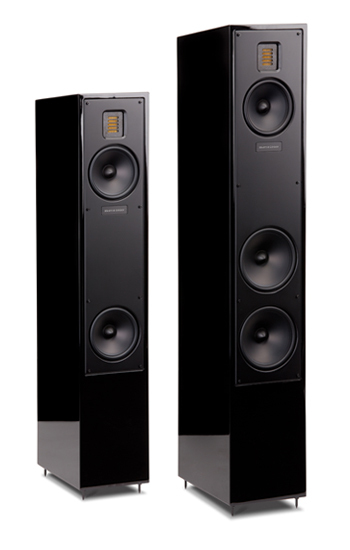 Buy a pair of Def Tech BP9060 tower speakers and get a FREE CS9060 center channel speaker (REG. $699.99)! Buy a pair of Def Tech BP9040 tower speakers and get a FREE CS9040 center channel speaker (REG. $499.99)! Buy a pair of Def Tech BP9020 tower speakers and get a FREE CS9040 center channel speaker (REG. $499.99)! Buy a pair of Dolby Atmos height modules (model A90) and save $200.00! Buy a Def Tech W7 streaming speaker for $399.99 and getthe 2nd one FREE! When these deals end, the sales are gone. OH NOOOOOOOOOOOOO! Interested in great sound for minimal $$$? Call us and let San Diego's Definitive Technology dealer provide you with fantastic sound for the Holidays. Definitive Technology Black Friday...the deals are here! Aire Theater Designs proudly serves all of San Diego County, CA including Del Cerro, Allied Gardens, Talmadge, Kensington, Hillcrest, Mission Valley, Fashion Valley, La Mesa, El Cajon, Blossom Valley, Lake Murray, Friars, North Park, Balboa Park, Clairemont, Kearny Mesa, Mission Bay, Mission Beach, Pacific Beach, Ocean Beach, Imperial Beach, Pt Loma and Downtown San Diego. We also gladly serve those in North San Diego County which includes Carlsbad, San Marcos, Vista, Elfin Forest, Oceanside, Escondido, Encinitas, Cardiff by the Sea, Solana Beach, Alta Del Mar, Del Mar, Olivenhain, Rancho Santa Fe, 4S Ranch, Santaluz, La Jolla, Poway, and Rancho Bernardo. Blossom Valley, Alpine, La Mesa and El Cajon...we;re here too. FREE FREE FREE!!!!!! One of our favorite speaker brands, Martin Logan, is doing some great stuff for this Black Friday and beyond. For a limited time, get FREE subwoofers with the purchase of selected speaker pairs. See below for details. If you love amazing sound and saving some $$$, you're in the right place. This Martin Logan sale runs until December 30th, 2017 or while quantities last. Want to get a listen and not have to get in fist fights with angry shoppers? Give us a call and let San Diego's Black Friday 2017 Martin Logan dealer provide you with fantastic sound and FREE stuff!. San Diego Martin Logan dealers Aire Theater Designs proudly serves all of San Diego County, CA including Del Cerro, Allied Gardens, Talmadge, Kensington, Hillcrest, Mission Valley, Fashion Valley, La Mesa, El Cajon, Blossom Valley, Lake Murray, Friars, North Park, Balboa Park, Clairemont, Kearny Mesa, Mission Bay, Mission Beach, Pacific Beach, Ocean Beach, Imperial Beach, Pt Loma and Downtown San Diego. We also gladly serve those in North San Diego County which includes Carlsbad, San Marcos, Vista, Elfin Forest, Oceanside, Escondido, Encinitas, Cardiff by the Sea, Solana Beach, Alta Del Mar, Del Mar, Olivenhain, Rancho Santa Fe, 4S Ranch, Santaluz, La Jolla, Poway, and Rancho Bernardo. Blossom Valley, Alpine, La Mesa and El Cajon...we;re here too. Looking for great deals for Black Friday on televisions, stereos, surround sound and more? We’ve got them here! We’ll keep you posted as the manufacturers let us know what they are going to offer. Below is a list that we will continue to update. We have also included some of our open box and demo deals that can save you up to 75% off! Sony XBR55A1E 55" OLED TV: REG. $2999.99 NOW: $2499.99! Sony XBR65A1E 65" OLED TV: REG. $3999.99 NOW: $3499.99! Sony XBR77A1E 77" reference OLED TV: REG. $17999.99 NOW: $14999.99! Samsung QN55Q7F Q series LED TV: REG. $1999.99 NOW: $1597.99! Samsung QN65Q7F 65" Q series LED TV: REG. $2799.99 NOW: $2197.99! Samsung UN65MU8000 65" LED TV: REG. $1599.99 NOW: $1297.99! Samsung UN75MU8000 75" 4K LED TV: REG. $3799.99 NOW: $2297.99! Samsung UN82MU8000 82" MONSTER 4K LED TV: REG. $3799.99 NOW: $3299.99! Looking for Black Friday sales in San Diego? Keep visiting as we will provide updates as soon as we get them. We are your home for televisions, surround sound and Sonos sales. The good and bad of Black Friday...Take 2. Check out below for some new Black Friday speaker sales. Good: You can save some bucks on your TVs and electronics. Bad: Unless you like the combination of camping (staying in a tent for two days outside your local big box store to have a spot in line) and boxing (fighting someone when you both are grasping the last 55" TV left in stock), Black Friday may not be for you. All Definitive Technology powered subwoofers (SUPERCUBE2000, SUPERCUBE4000, SUPERCUBE6000, SUPERCUBE8000): 25% off! Get FREE Martin Logan subwoofers with the purchase of select speakers (up to $1000 value)! We won't be working on Black Friday and you shouldn't either! Call us for Black Friday sales and specials on Definitive Technology and Martin Logan speakers. Call if you're ready for a new toy. We are San Diego's leaders in audio, video and home automation! San Diego's home theater experts proudly serve all of San Diego County especially the communities and cities of Central San Diego County which includes Del Cerro, Allied Gardens, Talmadge, Kensington, Hillcrest, Mission Valley, Fashion Valley, La Mesa, Lake Murray, Friars, North Park, Balboa Park, Clairemont, Kearny Mesa, Mission Bay, Mission Beach, Pacific Beach, Ocean Beach, Imperial Beach, Pt Loma and Downtown San Diego. We also gladly serve those in North San Diego County which includes Carlsbad, San Marcos, Vista, Elfin Forest, Oceanside, Olivenhain, Escondido, Encinitas, Cardiff by the Sea, Solana Beach, Del Mar, Rancho Santa Fe, 4S Ranch, Santaluz, La Jolla, Poway and Rancho Bernardo. We aren't forgetting about our East County friends in El Cajon, Blossom Valley, Lakeside and Alpine. Need help in Murrieta, Temecula or Wildomar? We're there too. LG 65" OLED TV: Now $1000.00 off at $2999.99! Samsung 65" SUHD LED TV: Now $1000.00 off at $1499.99! Sony 75" XBR 4K TV: Now $800.00 off at $2499.99! We won't be working on Black Friday and you shouldn't either! Call us for Black Friday sales and specials on LG, Sony and Samsung TVs. Did we mention that we will be offering surround sound and home theater deals as well? Call if you're ready for a new toy. We are San Diego's leaders in audio, video and home automation!